In 2014 I was tasked with designing a large-scale floating wind turbine for deployment at moderate to deep water depths; up to 100 metres, in Atlantic conditions. Typical commercial seabed foundations limit the size of turbines to around 5 MW, due to loading limitations. However devices rated up to 10 MW are technically viable using floating foundation solutions. As part of this project I assessed a range of floating support options, with a Tension Leg Platform (TLP) solution identified as the optimal foundation option. TLP foundations utilise taut moorings which require less cabling and by submerging the majority of the structure below the surface, systems can minimise wave loading and reduce roll and pitch. 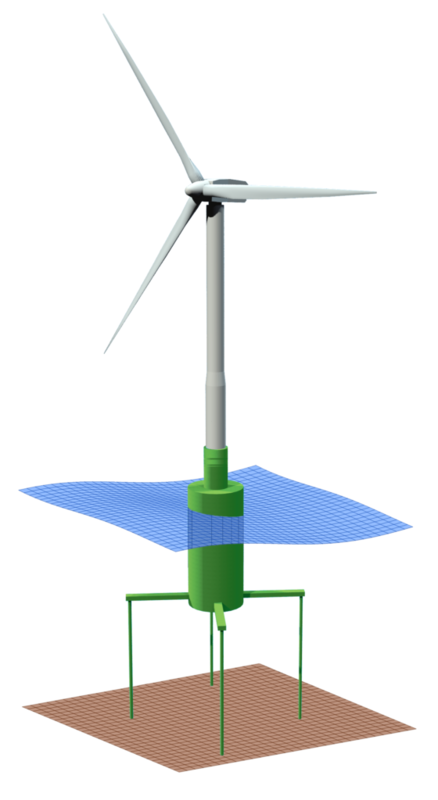 Based on an extensive criteria I developed a combined aerodynamic and structural design for a 10MW variable pitch and speed offshore turbine, compatible with a TLP foundation. 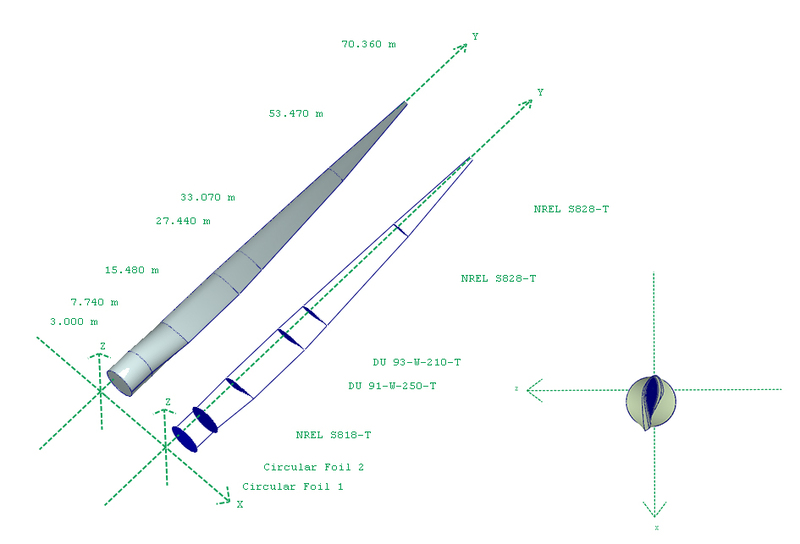 I used a range of software packages to design custom turbine blades to ensure maximum annual energy yield and resilience to both extreme conditions and fatigue loads. I utilised wind and wave data for the Wave Hub research site in North Cornwall to predict the annual energy production for the proposed system. The overall design was compiled to satisfy marine structural and loading standards, with an electrical system in keeping with the UK Grid Code. Both turbine and floating platform survivability were modelled using numerical and computational tools, accounting for 50 year extreme wind and wave conditions.